Making the decision to bring your loved one to an Alzheimer’s memory care residence can be difficult, even devastating. But sometimes, the best option for a family member who is battling Alzheimer’s is a supervised place, especially as the disease progresses. It’s important that you admit your loved one into a memory care residence that is equipped to handle the special needs of Alzheimer’s patients. The first step in choosing a residence is to determine the requirements of the person with Alzheimer’s at this point in time. If possible, involve that person in the decision making process. How much care a patient requires depends on the factors such as whether he or she can still independently eat, walk, bathe, and use the toilet. Some people with Alzheimer’s still able to live independently in the early stages of the disease, but 24-hour supervision is mostly needed in the middle stages. Round-the-clock care is even more intensive in the late stages. You might be wondering—are memory care residences the same as assisted living communities? No, they are not. They share many similarities in terms of amenities, but memory care residences specifically cater to patients who are battling memory problems such as Alzheimer’s and dementia. The staff goes through special training, and the residence needs to comply with stricter criteria regarding programming. The management staff are usually required to have certain educational requirements. A memory care residence should also have additional systems to ensure that the living environment is safe for its residents. 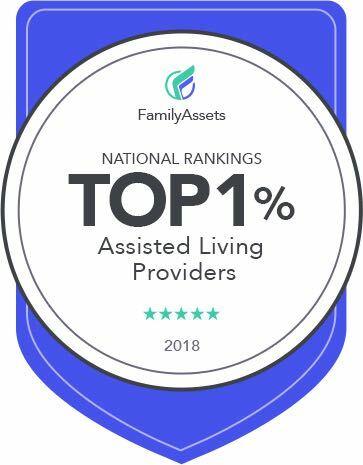 There are many types of assisted living facilities, but you want to make sure that you choose one that is qualified to handle the special needs people with Alzheimer’s and memory problems. Check the staff-to-resident ratio to ensure that your loved one will get personalized attention. Take time to tour the facility, checking not only the public or social spaces but also the private rooms.